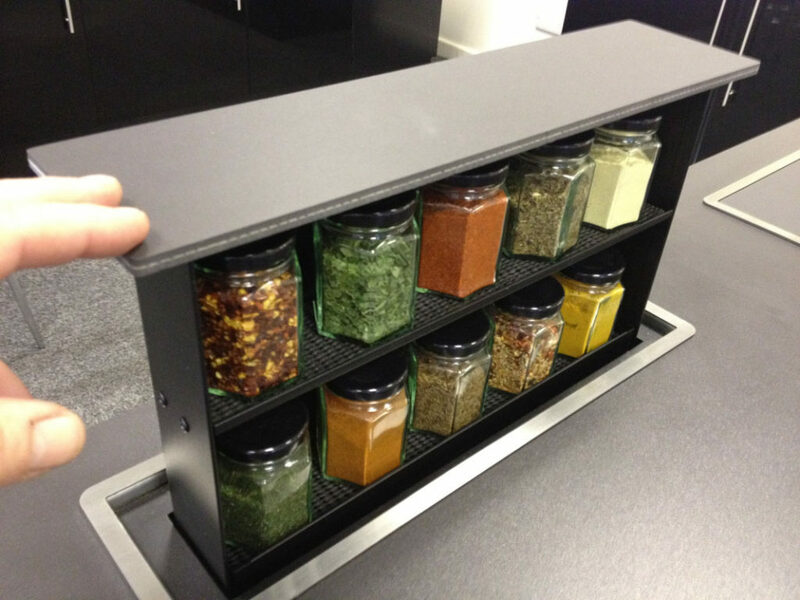 S-Box™ Pop Up Spice Box - This Herb and Spice Box is a two-shelf unit housing a total of ten airtight spice jars. 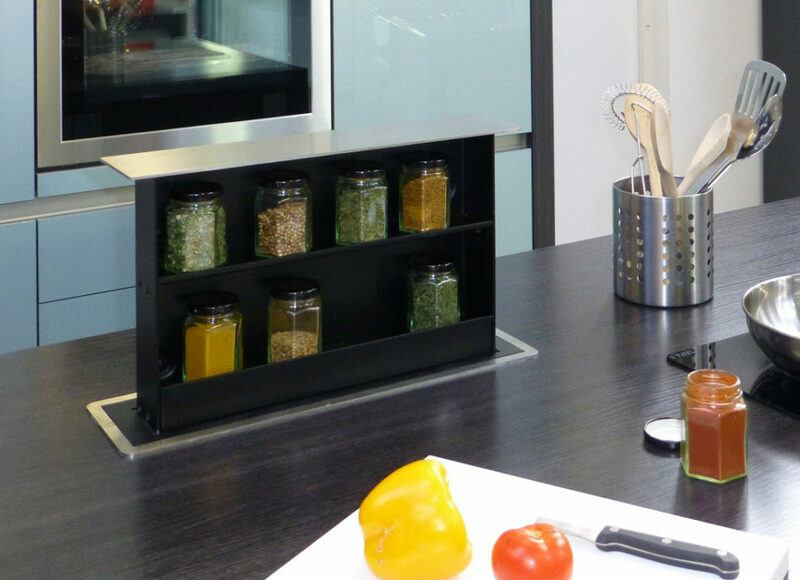 The S-Box Pop Up Spice Box has solid steel construction. Black polyester coating. Comes with hexagonal glass storage jars. 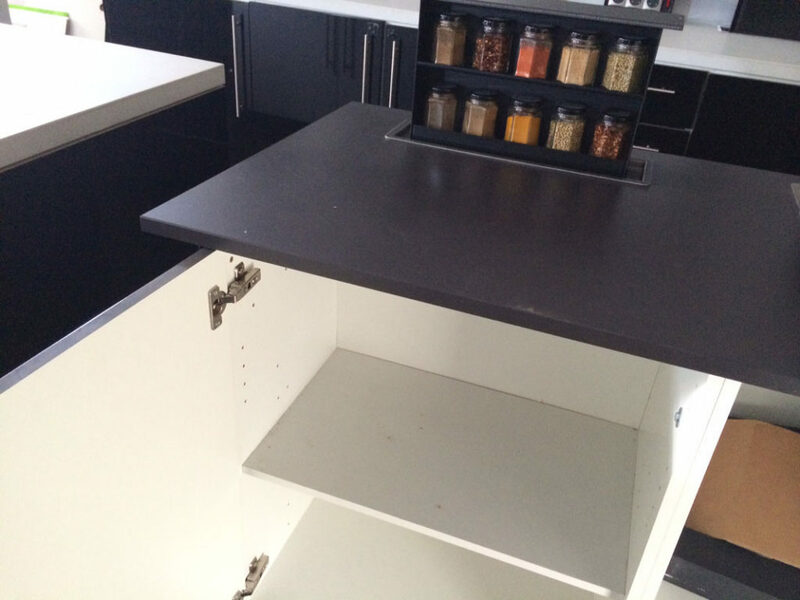 Both shelves have a front lip to prevent the jars from falling forward, and also feature a washable rubber grip mat. 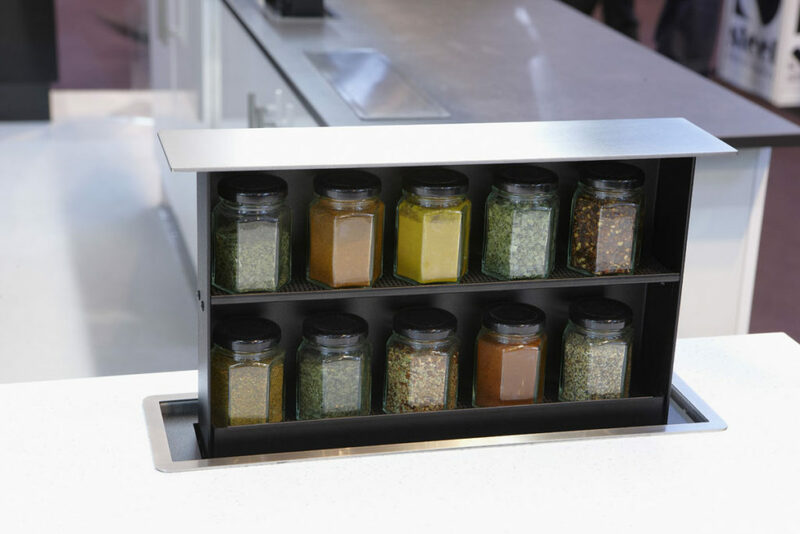 Users can duly fill the storage jars with their own favourite herbs and spices for everyday use.